Today we released the first of three short stories about the thoughts and feelings of some of your allies in the aftermath of Living World Season 4’s fourth episode, “All or Nothing.” They contain heavy spoilers for the episode. Rytlock’s story was written by Alex Kain of the ArenaNet Narrative team, illustrated by creative partner Jerome Jacinto, and formatted using the open-source program Twine. To read the first story, visit the official page. 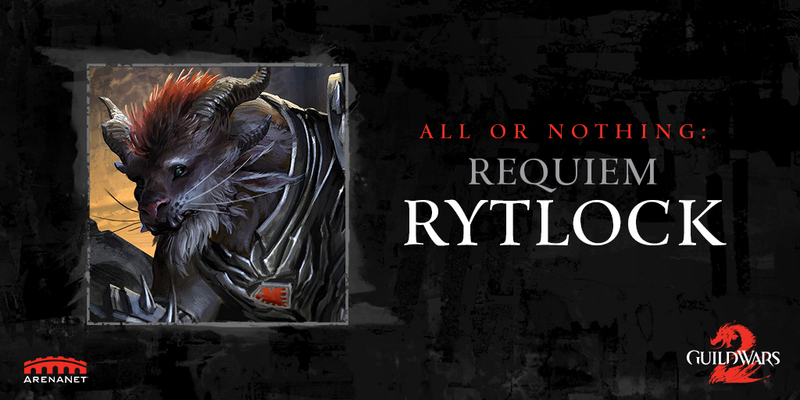 Click on Rytlock’s portrait and follow the links through his thoughts.